Do you get impressed when you see a person walking three or four majestic canines down the road? How about a small group of dogs playing together? Maybe you have witnessed an occasional dog show that places couple of dozen dogs together for an obedience presentation. 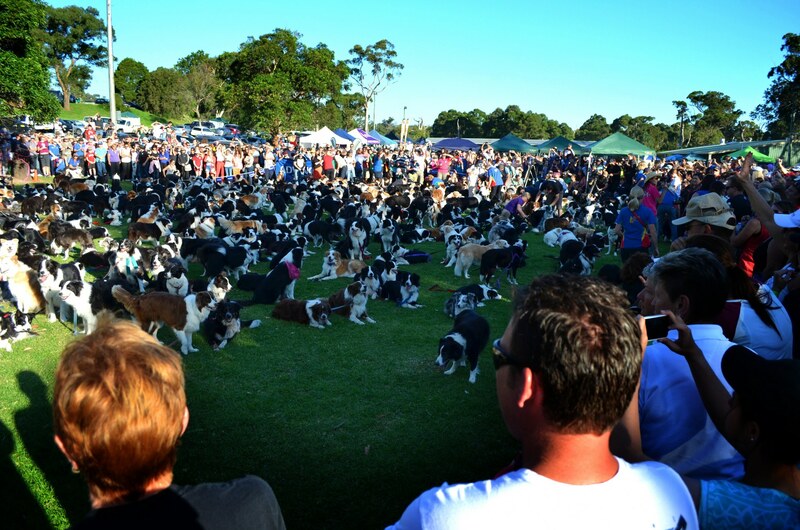 When the count of dogs in one place begins to hit double digits it’s always somewhat awe inspiring (at least for me). Especially so if all the dogs are of the same breed. 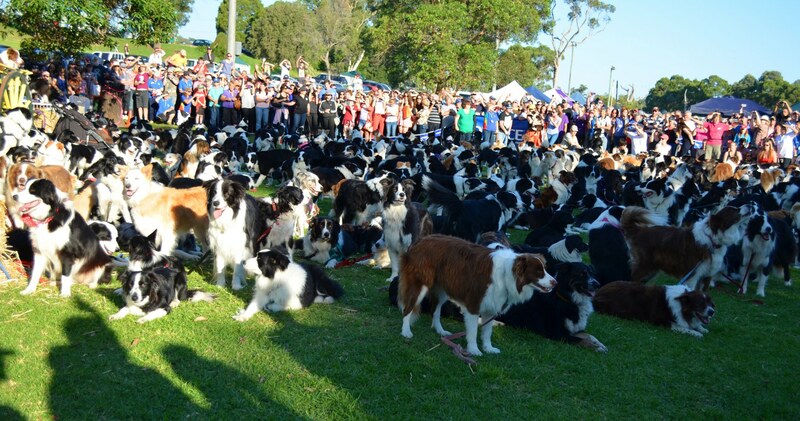 Well now imagine 100 Border Collies all in one area? Such an event had been done in the past . 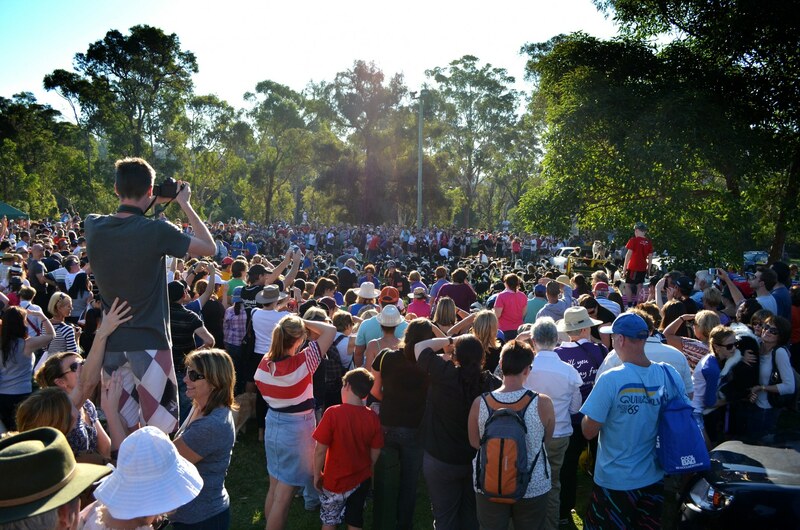 It has been an official Guinness World Record – until yesterday. 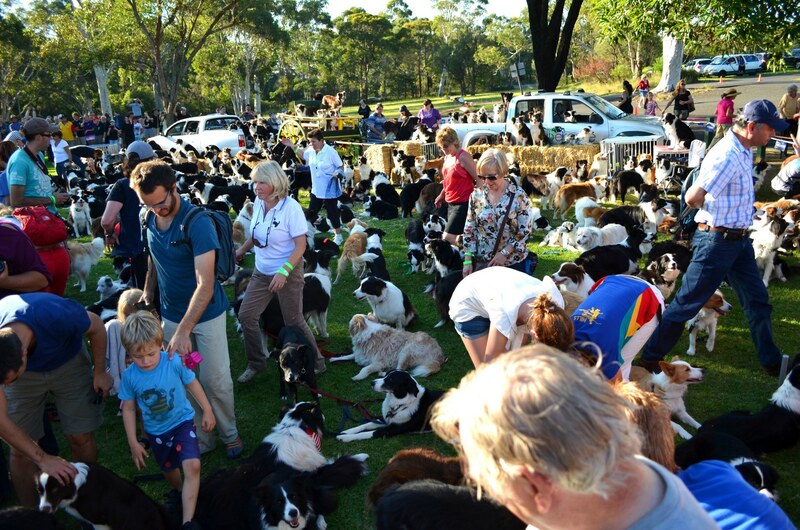 On Saturday 27th of April 2013, I had the privilege to attend an event organised by Dr Katrina and her amazing Wonder Dogs, that set out to break the record. In the beginning the aim has been to get anywhere close to the figure, perhaps break the record by a single dog. Well the event went viral and seemed to spread across the internet like a whirlwind. Soon on the official event Facebook page people began saying that they will be driving up from other states to partake in the attempt. There was even a Western Australia family or two coming East(event took place in Sydney). THE RECORD GOT SMASHED! Katrina Facebooked that the count reached 503 Border Collies. Mind you some dogs had to be disqualified due to being uncomfortable around so many other dogs. This jaw dropping number was attained with the help of Katrina herself, the local dog training club, helpful dog owners, obedient doggies and the great attitude of the public. 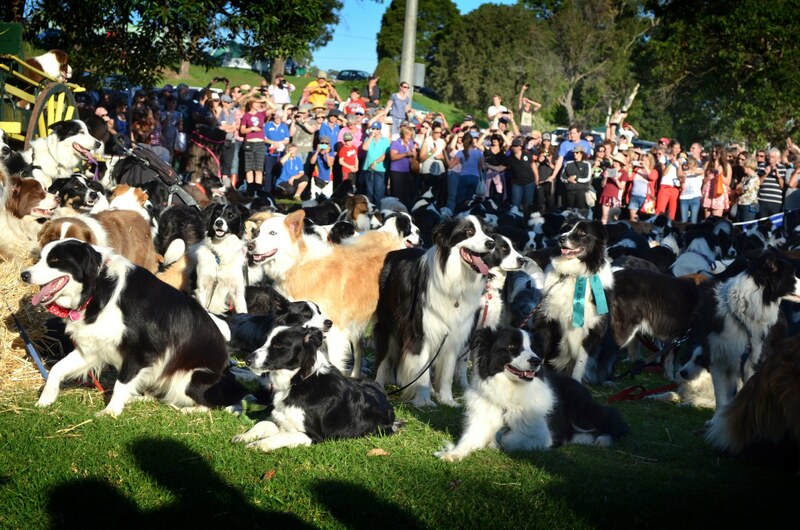 Latest news is that a similar event was held in Adelaide in Sep 2017, which managed to beat this un-official record of having the most border collies in one place @ 534, which is 31 extra dogs. See news article relating to that event. I was one of the official counters for the record yesterday. 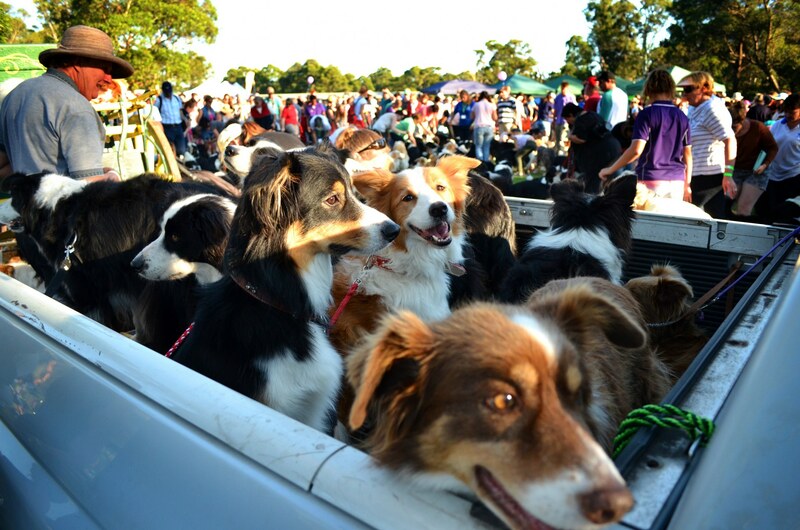 I own three beautiful Border Collies, and I was so proud to be part of such a wonderful event. 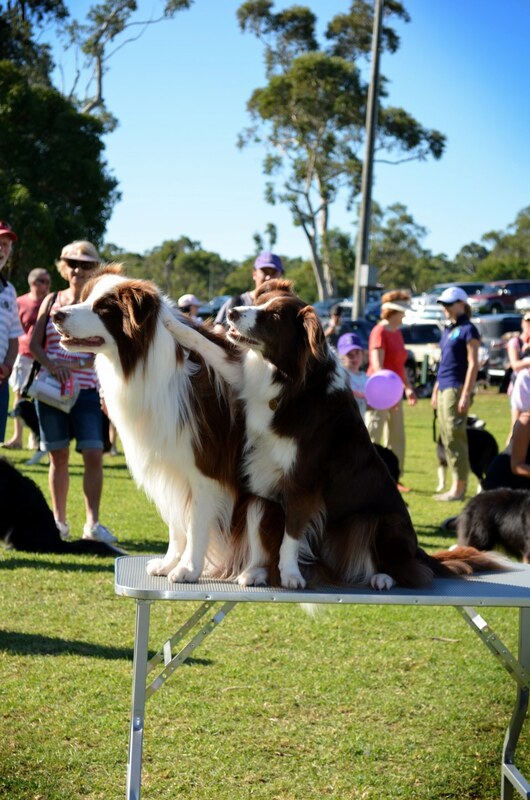 It was hot, and these lovely dogs did us proud. We clocked in a 524, 21 were taken out of the count, so yes, it was an official 503 . Katrina Warren and Kelly Gill amazing effort. Well done everybody.. Thank you for the reply. Glad to know the number was official. 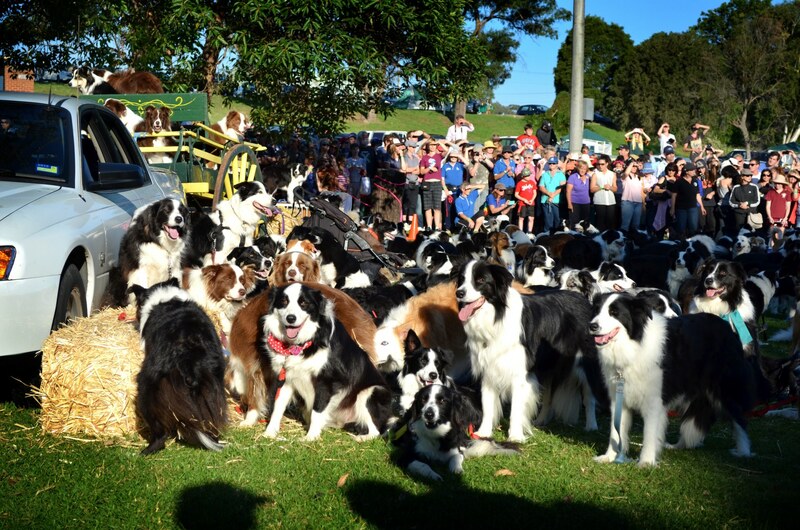 No official count but I’m pretty sure if one was to count the Border Collies at the U.S. National Finals (sheepdog trial) for the United States Border Collie Handler Association the count would be well over 500 BCs. There are 150 dogs competing and very few of the handlers are there with one dog. Many have 5 – 10. Hi there. 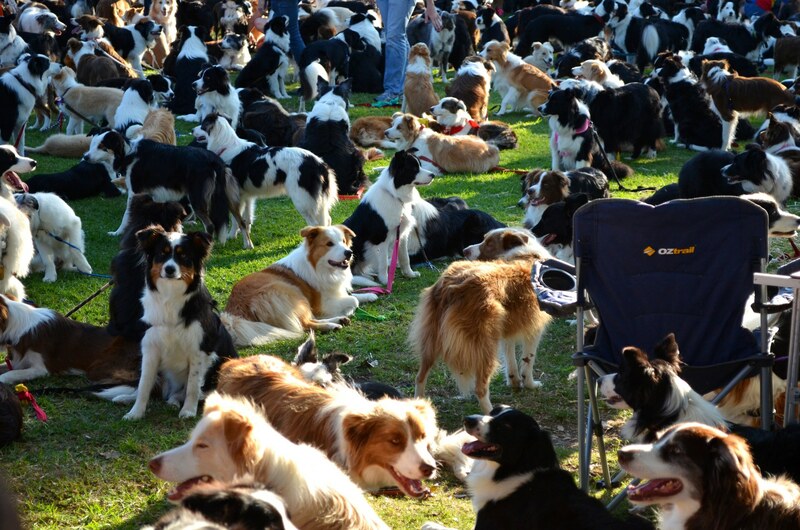 I am sure there has been a number of gathering with more border collies. The one you see above actually had over 600 dogs but a few did not qualify or enter the arena. And unless its recorded properly and all the conditions of the record are met (I think the dogs have to be without their handlers) then Guinness doesn’t acknowledge the record. Its much harder to get those dogs to sit in one place without their owners next to them. This was not a Guiness world record. Just an unofficial world record.